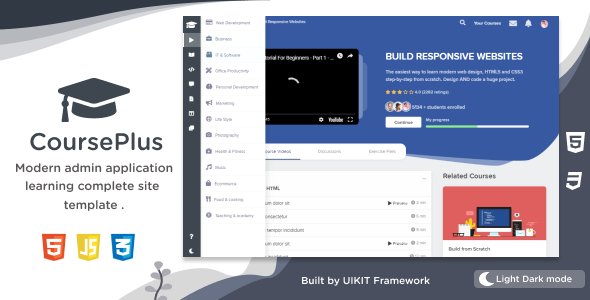 CoursePlus is a beautifully crafted user interface for modern e Learning application site template . CoursePlus is suitable for educational web, LMS, Training Center, Courses Hub, College, Academy, University . It comes with a unique and modern menu and developed with latest trending techniques.